We’re over the moon to announce that we’ve been shortlisted for BEST MEDIUM SIZED FESTIVAL at this year’s UK Festival awards in London. Wooo! Please do us a solid & vote for us here & you could win a pair of Audio Technica ATH-M50X headphones for your troubles. You’ll get instructions via email on how to access your Earlybird priced tickets which you can get until Feb 1st next year. 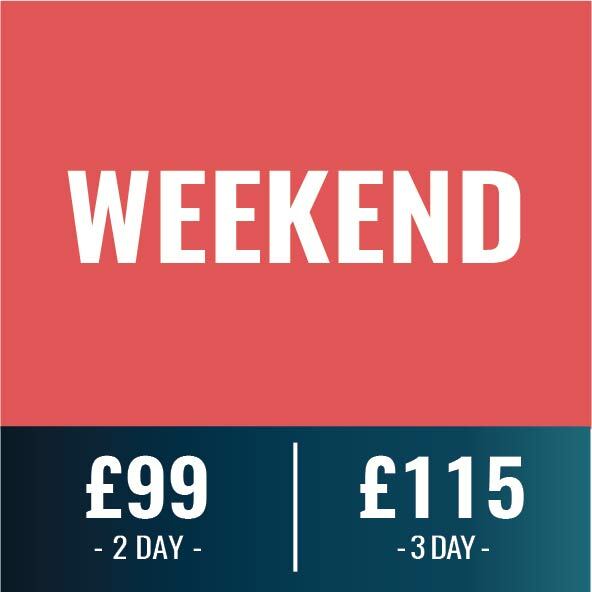 Simply pay the difference between your pre-reg ticket & an Early Bird ticket before Feb 1st & you’ll still get them at dirt cheap prices. * Ticket refunds are only available until March 31st by emailing our info@ email address & requesting a refund. *Guaranteed Early Bird priced tickets must be bought before midnight Feb 1st 2019. **Zero booking fees if you buy before mindnight Feb 1st 2019. ***Full refunds until March 31st if you change your mind. Terms. Must upgrade pre register tickets by midnight Feb 1st 2019 to get Early Bird prices. After Feb 1st ticket price reverts to full price. Refunds on full weekend or day tickets only till March 31st. Pay what you want component is non refundable, unless a full ticket is purchased before Feb 1st. 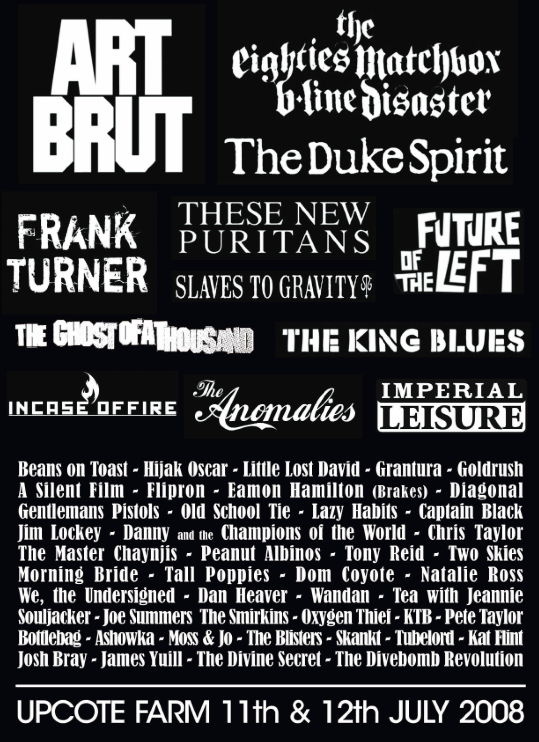 Welcome to 2000 Trees – Greatest (small) festival in the world. Upon entering you’ll most likely run into some familiar faces you might’ve met through your local music scene, or you might see someone from a band you like strolling to catch some music on one of the many stages, or maybe they’re just popping to that beautiful wood fired pizza place next to The Cave. We’ve played here a few times and it holds a special place in our collective band heart. The open mindedness and enthusiasm for music is what makes this festival and its community so special. This year we got to dance together at our full set on the Axiom Stage and we got to cry together at our acoustic set on the Forest Stage. Both sets were special and an honour to have played. 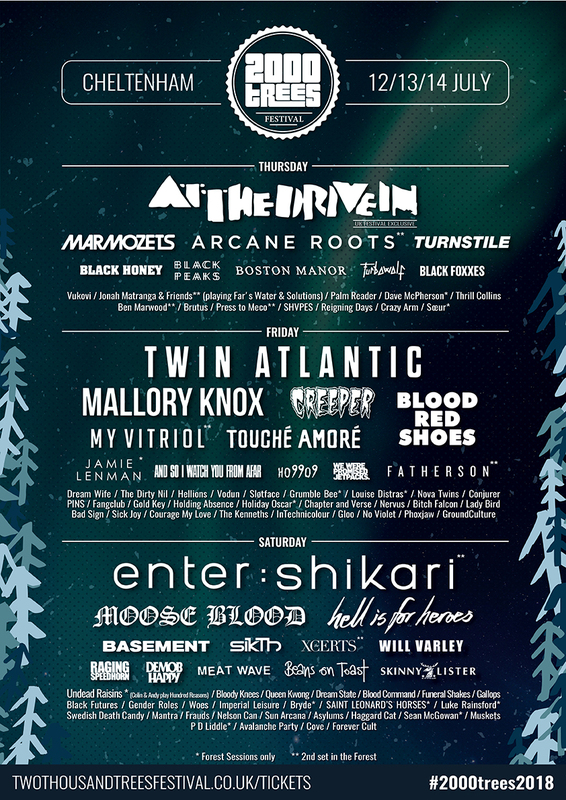 We got the chance to see some of our good friends: Arcane Roots, Black Peaks, Boston Manor, Dream State, Vukovi, Bad Sign, Chapter and Verse, Holding Absence, Shvpes and Haggard cat. All of which were amazing. We also got to see some new bands which blew us away, specifically: Blood Command, Nervus, Brutus and Phoxjaw. Of course, all the headliners we’re amazing and Enter Shikari ended the festival in a spectacular fashion. 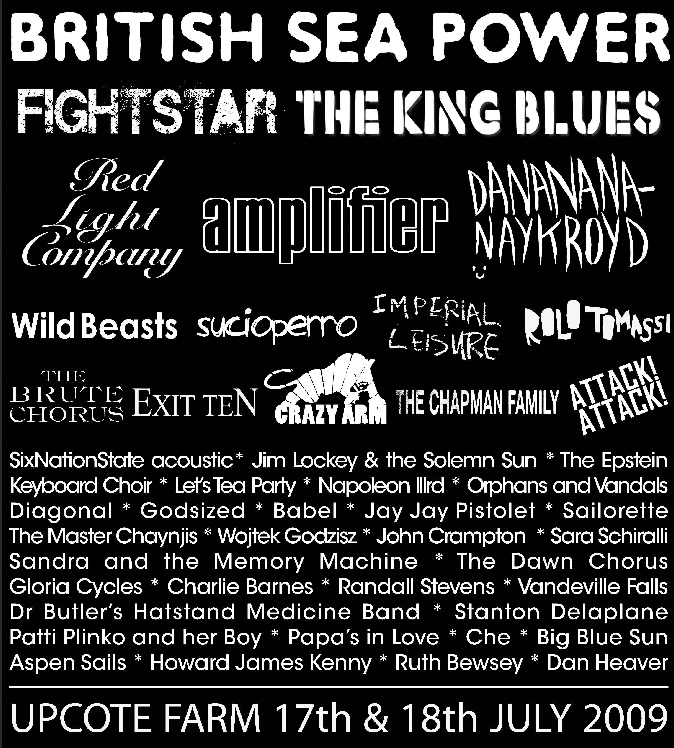 2000 Trees is a festival that always sends you away with some homework to do. Inevitably as you float from stage to stage, you’ll hear music which piques your interest from a band you’ve not listened to before. Or maybe, as you’ll explain to your friends, you’ve heard OF them but never HEARD them. Either way, you’ll be coming home with a list of new favourite bands and a whole lot of listening to do. Howdy folks – The link to request refunds from your cashless wristbands is copied below. You can do this from Tue, 17 Jul 2018 09:00:00 BST to Fri, 17 Aug 2018 17:00:00 BST. That’s right, if you buy your tickets but then change your mind between now & next March 31st we’ll refund you in full, no questions asked. That way if your plans change, not only do you get 20% OFF your tickets, you get all your money back if you can’t make it. How many festivals give you all that? 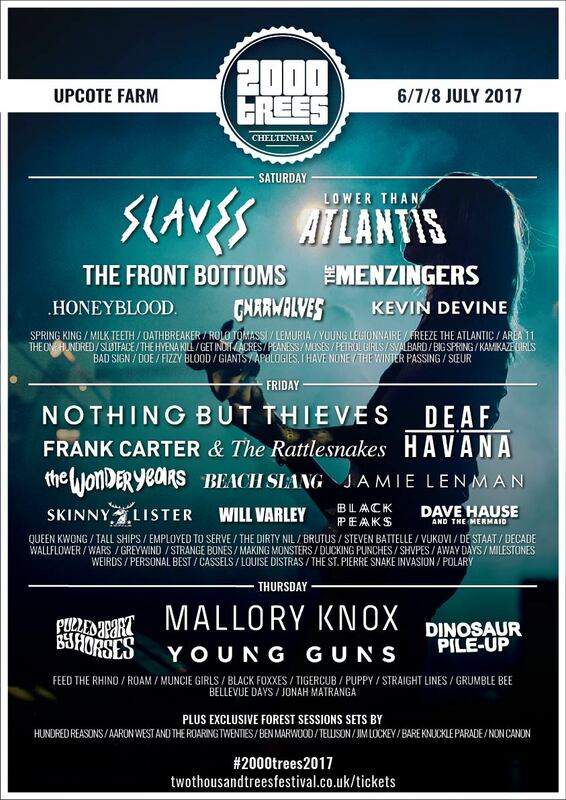 Just 3 more reasons why 2000trees is the best festival on the planet, right? 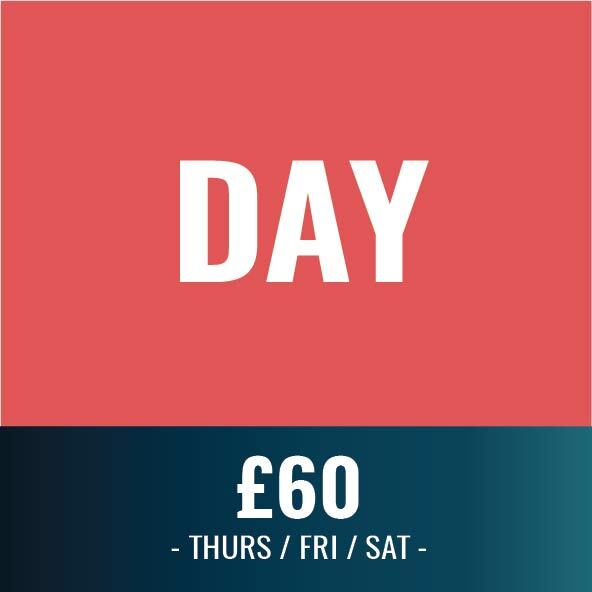 While we get back to the big clean up, why don’t you put your feet up, grab a cup of tea & make sure you get your 2019 tickets in the 7 days to get them at the best price… You know it makes sense. 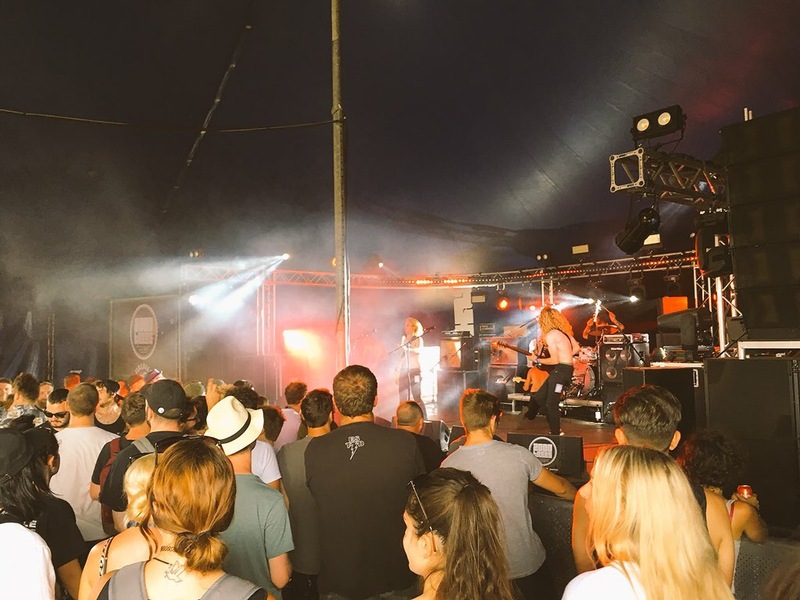 Finally, make sure you let us know your highlights over on our socials & include photos… with #2000trees – We love to see what you got up to. Si, Andy, Bren, James, Mark & Rob…. & the millions of amazing helpers who make your festival weekend possible. 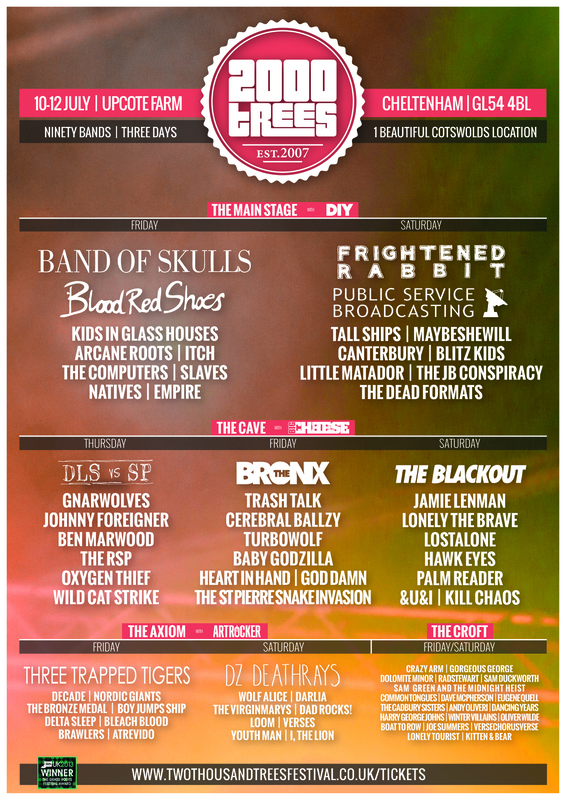 The multi award winning 2000trees is a 10,000 capacity music festival set in the rolling Cotswold Hills. You’ll get 3 nights camping and a friendly, intimate atmosphere – plus amazing food and locally produced ciders, ales & lagers. 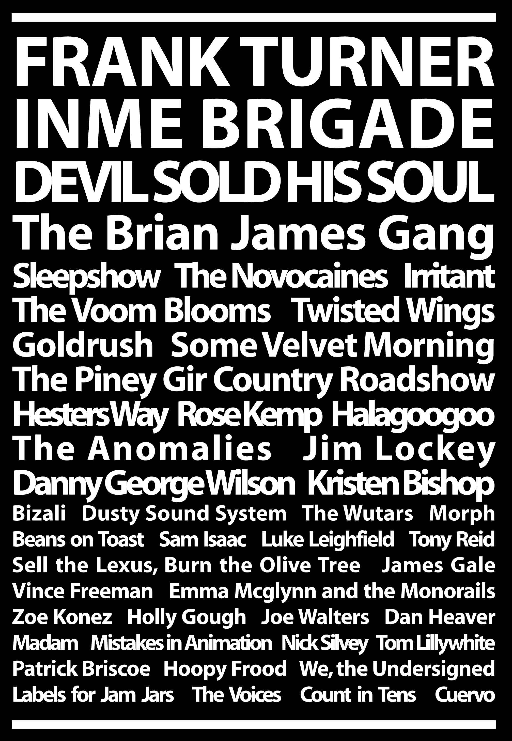 Founded in October 2006, 2000trees was created by 6 music fans tired of overpriced mainstream events that care more about profits than people. 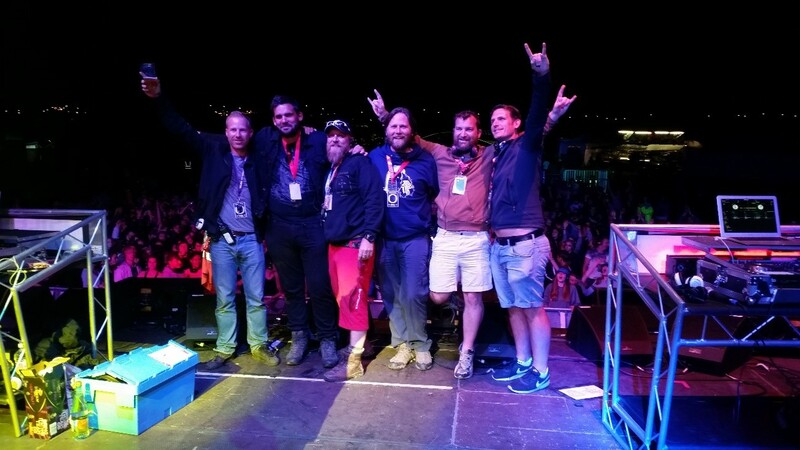 Music festival veterans themselves after attending all the main industry events over a decade, James, Rob, Andy, Brendan, Mark and Si decided that they could do it better themselves. 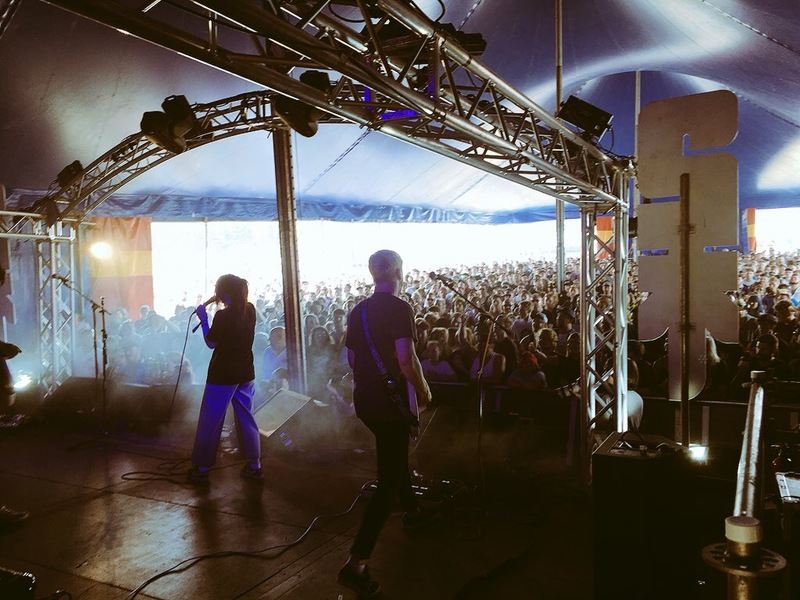 None of the 6 had any industry experience, simply a passion for music and the desire to create a dynamic, energetic and accessible event that put the festival-goer at the top of their priority list. 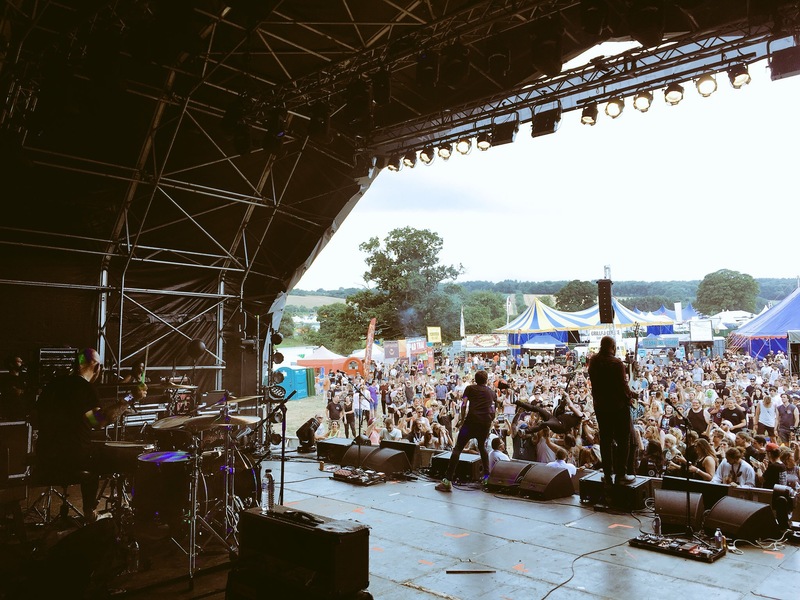 Yesterday we announced that 2000trees is going cashless this year & there were a few raised eyebrows on Twitter & Facebook. 1) The reason we’re doing this is mainly because it’s quicker, safer & easier for everyone concerned. That includes you, our esteemed guests, bars, food traders & our stall holders. £100 daily limit is simply not true. 🤣 Spend as much (or as little) as you like! 4) Yes. The whole site will be cashless, (except if you really want to Top Up your wristband with cash at a Top Up station). There will be 6 Top Up stations dotted around the site. There will also be cash machines if you really want to withdraw cash to top up your wristband. 5) Yep! Just like the old days, pay a £10 deposit with your wristband, then get the money back to your wristband when you return the headsets. Any money left over at the end of the festival can be claimed back as a refund straight to your bank account. 7) AKA The Download 2015 question. Ours is a completely different system to the one used at Download in 2015 & you may have noticed 2000trees is a little smaller than Download. Also that was 3 years ago and technology in general has developed a lot in 3 years, particularly regarding cashless systems. Cashless festivals are now very much the norm in continental Europe & the USA, and we are convinced that using this widespread technology will result in a better festival experience for everyone. The Playpass system does not have any single point of failure. It will sync across the site with all the traders/ bars & what’s more wifi is not required to spend money. If you need to top up your wristband over the weekend, there will be 6 Top Up stations, all of which have their own dedicated (private) wifi network. We’re confident that this dedicated cashless wifi network will work uninterrupted all weekend because we have trialled (private) festival wifi for the last 3 years & it has proven itself to be reliable. Yes, the public wifi sometimes struggles with the weight of traffic, but this is why we also have a private network for cashless. 9) No problem! You can get all your unspent money refunded, by clicking on the playpass link which we’ll send out after the festival. Yes there’s a £1 charge to do this. This is because humans need to process these refunds & unfortnately humans cost money. 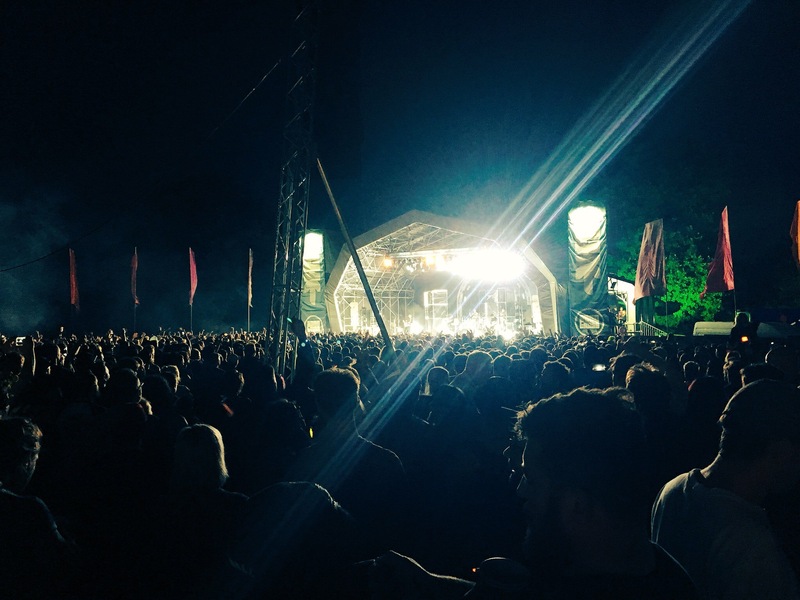 You will be able to request a refund from the Tuesday after 2000trees. 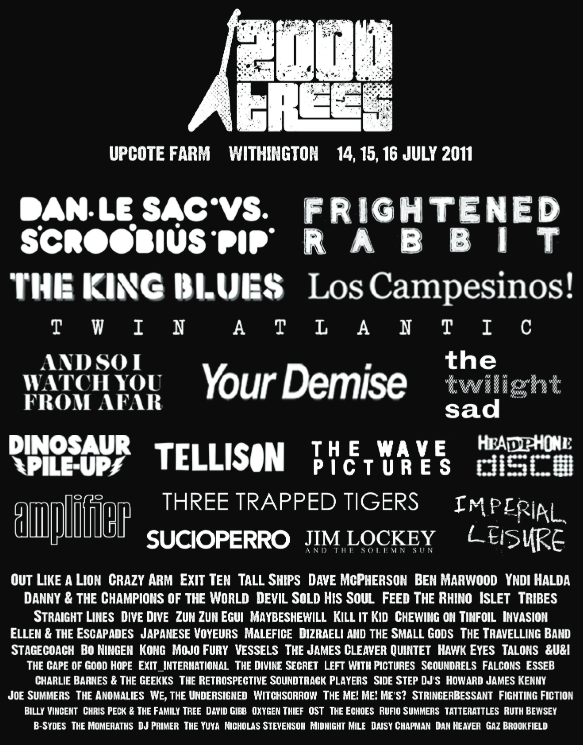 In all seriousness, we massively appreciate how much you love 2000trees & the last thing we want to do is upset even a single one of you. 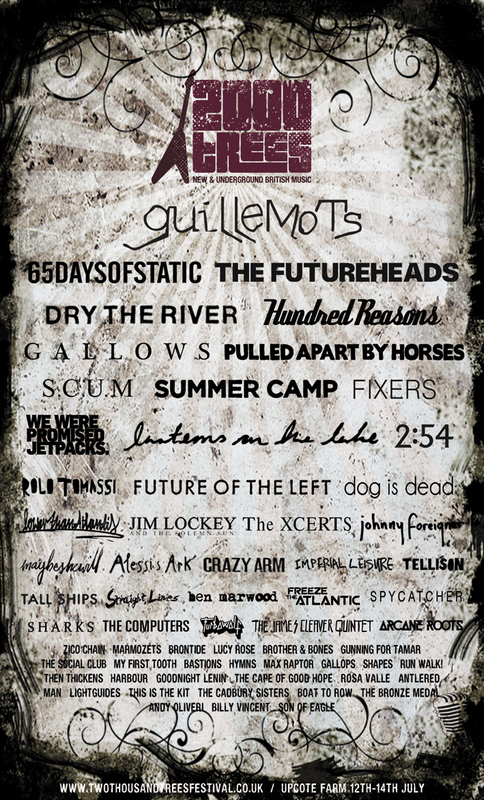 That said, we’re super confident that this will revolutionise festivals of the future & we’re super dooper confident that it will be a massive sucess at 2000trees, otherwise we wouldn’t have signed up for it. Having trouble linking your ticket to Playpass? Click here to register your personal cashless account! 3) What is RFID and how does it work? 7) Do I have to register my personal information to use the system? 8) I have not bought my ticket yet, can I still create my personal account? 9) Someone else bought my ticket, can I still create a personal account? 10) When I try to create my personal account, my ticket number is not recognised. What should I do? 11) How do I get my wristband? 14) What if the vendor charges me the wrong amount? 15) How can I check the credit balance on my wristband? 16) What happens if my RFID wristband gets damaged or lost? 17) How can I get a refund for any credit I don’t spend at the event? 18) Can the technology be used to track my movement? 19) Is the system less convenient for me than using cash? 20) Is the system reliable? 21 ) Having trouble linking your ticket to Playpass? At the festival, all transactions are cashless thanks to your RFID wristband. That means all points of sale (bars, food trucks, market stalls and merchandising) will only accept one method of payment: the chip on your wristband. Cashless is not only easier and faster, but safer too – our system uses military-grade encrypted technology that would take a super-computer 260,658 years to crack, making it more secure than online banking, magnetic strips or contactless credit & debit cards. And you can claim back all unspent credit after the event. What is RFID and how does it work? RFID stands for radio frequency identification. The technology uses electromagnetic fields to transfer data for the purpose of automatically identifying and tracking tags attached to objects, in this case wristbands. Our cashless system uses RFID to write electronic credits on to your chip when you top up funds and debits them when you buy something. There is no risk of money or data theft from the system and, if you lose your wristband, you have not lost your money – it can be instantly transferred to a new wristband if you have registered a personal account. *For those with an interest in data encryption, our chips use three-key Triple-DES which provides 112 bits of cryptographic strength, equal to 72,057,594,037,927,936 (over 72 quadrillion) possible keys. 1. Due to the many moving parts at a live event, cashless payments is now recognised as the global best practice at festivals around the world. 2. Cashless payments make your festival experience easier, faster and safer. 3. Load your wristband from the get go (online beforehand or when you arrive at the festival), no need to keep your cash or credit card in a tent or locker – your funds are on your wristband, attached to you at all times, making it hassle-free all weekend. 4. The Auto TopUp feature means you don’t have to go anywhere to load more funds when you need them (if you choose this option). 5. If you lose your wristband, we will give you a new wristband and do our best to instantly recover any funds attached to it – you can’t do that with cash! 6. It makes service at the bars and vendors much faster and reduces queues. 7. If you don’t spend all of the money loaded onto your wristband, you can quickly and easily request your money back online after the event – please note there is a £1 processing fee from our payment provider for this service. 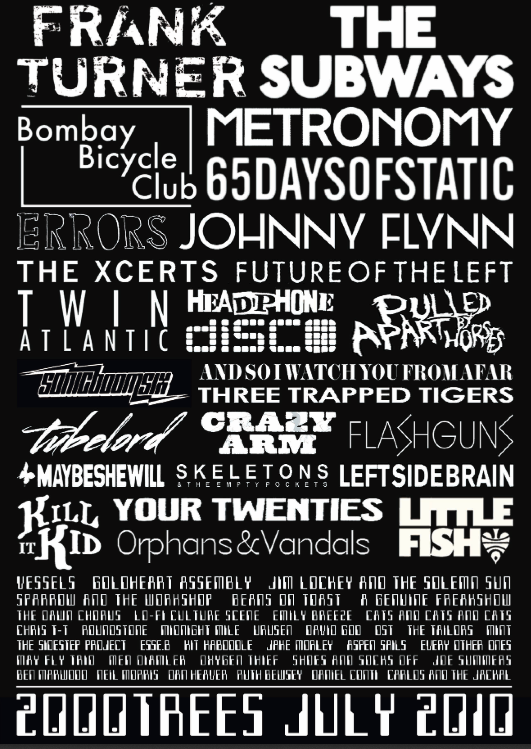 Firstly you need to buy a ticket for the festival – you can’t get started without one. 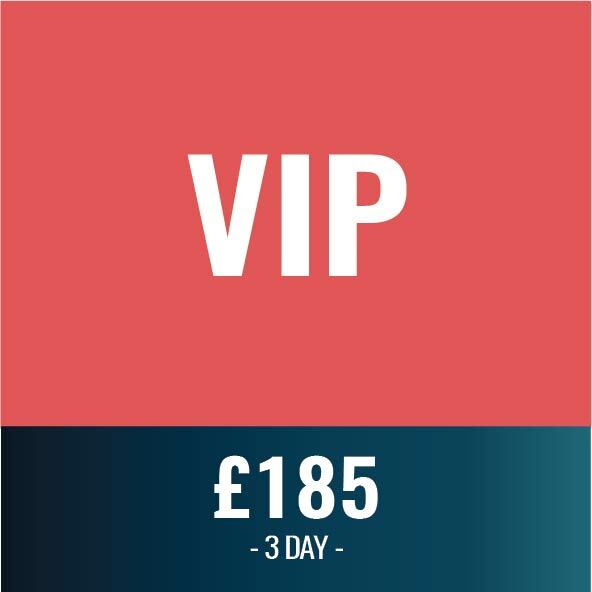 With your ticket you can create a personal account before the festival, allowing you to top up credit on your account before and during the festival – you can also set up Auto TopUp and keep track of all your purchases during the festival. During the festival you can still create an online personal account using your smartphone with the unique ID at the back of your wristband tag. Do I have to register my personal information to use the system? No, if you do not want to create a personal account at all, you’re free to remain anonymous. Just walk into the festival and use any top-up booth to add money to your wristband tag. The system will only identify you by your wristband ID number, with no personal data attached. You can still load funds to your wristband using the onsite topup stations and pay with it at any point-of-sale. Registering a personal account is therefore not mandatory but it is recommended, as it will give you extra benefits including the ability to top up online through your smartphone, enable Auto TopUp, track your purchase history, redeem special incentives which could provide additional free credit and more easily replace your wristband with the balance intact if it gets lost. It is not necessary to register a personal account in order to reclaim your unspent funds after the event – you can still do this as an anonymous user. I have not bought my ticket yet, can I still create my personal account? No, to create a cashless personal account you must be in possession of a valid ticket ID number. This number is required to transfer your credit to your RFID wristband when you receive it at the Wristband Exchange when you arrive at the festival. Someone else bought my ticket, can I still create a personal account? Yes, this is not a problem. Just make sure you enter the ticket number of the ticket you will be carrying to enter the festival, and your personal account will be linked to your wristband. When I try to create my personal account, my ticket number is not recognised. What should I do? First, double-check that the number you are typing is definitely the ticket number. Tickets can carry a lot of different information on them. Then, if you have just bought your ticket, it is possible that your ticket number is still not yet known inside the cashless system. Try again in 24 hours. If it still doesn’t work, send an email to cashless+2tt@playpass.eu and the issue will be resolved promptly. There are no fees associated with wristband activation. Your RFID wristband will be issued to you on arrival at the festival in exchange for your valid ticket. At that moment all benefits and credit already linked to your ticket via your personal account will be automatically transferred to your wristband. You can also choose not to create a personal account before the festival and just walk in. Your wristband is then activated but not linked to a personal account. You can load credit to the wristband inside the festival by visiting a top-up station. You can add funds at any time online with a credit or debit card, using a smartphone, tablet or computer via your online personal account. If you have a personal account, you can also enable ‘Auto TopUp’ which allows you to automatically top up funds whilst making a purchase at the event, if your balance is too low to complete the payment. This way you never need to visit a top-up station or make an online card transaction to reload funds, giving you more time to enjoy the event. While at the festival, you will also be able to add funds using cash or credit/debit card by visiting one of the top-up stations. We will still have ATM cash machines on site during the event, if you prefer to top up by cash rather than card. To make a purchase, check the sale amount displayed on the vendor’s terminal and tap your wristband on it. The purchased amount will be automatically and instantly debited from your credit balance on your chip. If you have a personal account, the purchase will appear in your transaction history as soon as the transaction has synchronised with our online account platform over the internet. It is possible that some vendors will not be connected to the internet, in which case the transaction may not appear in your history until shortly after the event. What if the vendor charges me the wrong amount? Just as with a cash transaction, if you think you have been charged an incorrect amount after having made a purchase, tell the vendor immediately and they will be able to correct it. How can I check the credit balance on my wristband? You can check your remaining balance at any time during the event by tapping your wristband at any point of sale terminal. Immediately after every transaction, the reader will indicate how much credit you have left. If you missed it, ask the bartender/vendor to show you your remaining balance. If you have created an online personal account, you can also login to your account to check your balance. When doing this, always be aware that it is possible that some transactions may have not yet been synchronised over the internet to update the online account platform. This may cause temporary differences between the balance shown online and the one you see by tapping your wristband (which is always your correct ‘live’ balance). What happens if my RFID wristband gets damaged or lost? If the fabric of the wristband becomes unusable, just visit the customer support point where staff will be able to quickly and easily re-issue you a new wristband, with your full balance intact. This does not require registering a personal account. If the RFID chip becomes damaged please bring it to us and we will issue you with a new one and do our best to instantly recover any funds attached to it, although in some cases – depending on the extent of the damage – this may not be possible until after the event. If your wristband is stolen please report it at the customer service point immediately, where we will be able to block it and issue you with a new one. As above, we will do all we can to restore your balance, but this may not be possible until after the event. Please be aware that it is your duty to take care of your wristband and that the festival cannot be held responsible for any loss or theft. How can I get a refund for any credit I don’t spend at the event? Reclaiming unspent funds is a quick and easy process. You will need your wristband ID number so make sure you keep hold of this. PLEASE DO NOT THROW AWAY YOUR WRISTBAND WITHOUT NOTING DOWN THE WRISTBAND ID NUMBER BEFORE YOU HAVE RECLAIMED YOUR UNSPENT FUNDS. Just log-on to the event website any time between 9am on Tuesday 16th July and 5pm on Friday 2nd August and you will be directed to the refund request page, where you will be prompted to enter your wristband ID number for identification. You will see your remaining balance and can reclaim all of it – please note there is a £1 processing fee from our payment provider for this service. Now just enter the bank details for the account you would like your refund to be collected in, and the funds will be transferred within a few days. Can the technology be used to track my movement? No, it cannot. The wristbands we use can only be detected from a few centimetres away and are not equipped with any GPS technology so therefore it will be impossible to track your movement. Is the system less convenient for me than using cash? No. Cashless offers far greater customer convenience, removing the need to bring and carry cash or queue at expensive ATM’s, as well as providing many other benefits such as keeping a record of all your purchases and enabling you to benefit from incentives and rewards. It also deters thieves and criminal elements making the event safer as well as more enjoyable. Of course. The system we use is designed to be fail-safe, able to operate without internet or power and has been used flawlessly at hundreds of events around the world. It was built to have no central point of failure. This means that the worst case scenario is that an individual scanning device (such as a payment terminal on a bar) or wristband becomes damaged or lost. In both instances, they can be very quickly replaced on-site, ensuring continuous service throughout the event. On the PDF version of your ticket locate the long barcode number. Pre-load your wristband/ playpass account & select auto top up. You’re good to go – your wristband with your pre-loaded money will be waiting for you at wristband exchange. *Complimentary spending money will only be available on your wristband once the initial top up sum have been spent, and is not redeemable as unspent funds. 1- Enter Shikari, Jamie Lenman & loads more confirmed to play stripped back acoustic sets in the Forest. 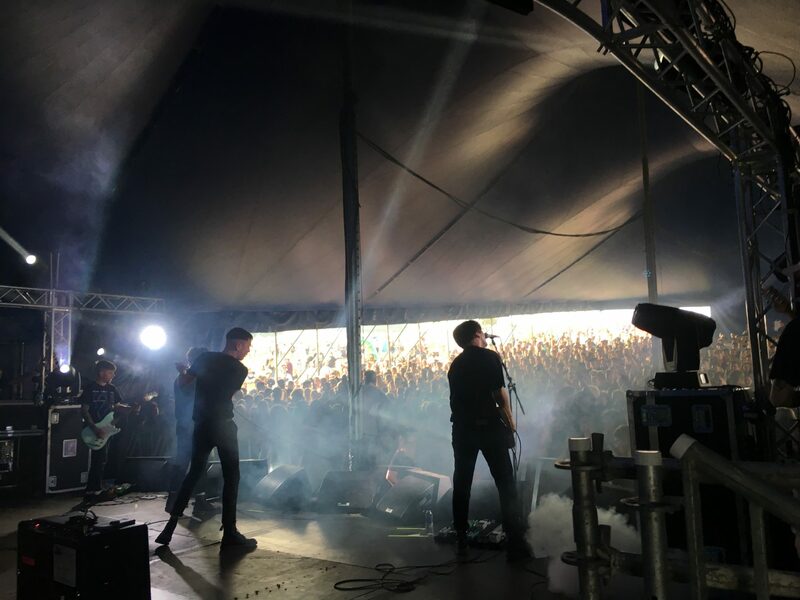 2- Mallory Knox returning to smash up the Mainstage. 3- Loads more new bands & Forest session exclusives. Check out the full 27 additions & new poster below. 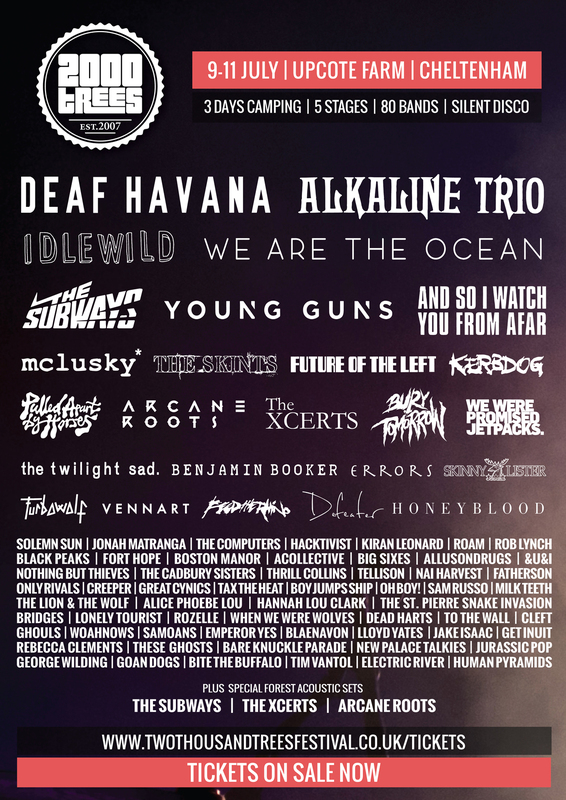 Don’t forget your tickets amigos – We’re getting dangerously close to selling out for 2018 so if you want to guarantee your place at 2000trees then get yours today (Get tickets below). We promise it will be the best 72hrs of your summer! See you at the bar for a frosty one. Hiya! 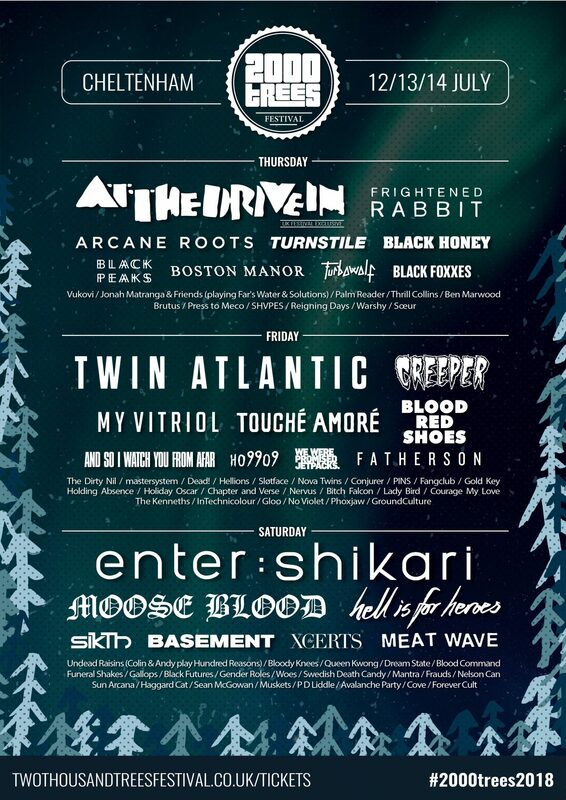 Today we’re incredibly excited to announce that alongside At The Drive-In & Enter Shikari as our Friday night headliners we have the awesome Twin Atlantic joining the party. WOOO!